The Mia Farrow Strolling Blouse, shown here next to Kathleen Lawton-Trask’s Robert Redford Tennis Sweater, was inspired by Mia Farrow’s Daisy Buchanan in the 1974 film version of the The Great Gatsby by F. Scott Fitzgerald. The yarn is The Fibre Company Meadow, a 2-ply laceweight blend of merino, baby llama, silk and linen, which gives the sweater a soft feel and excellent drape. 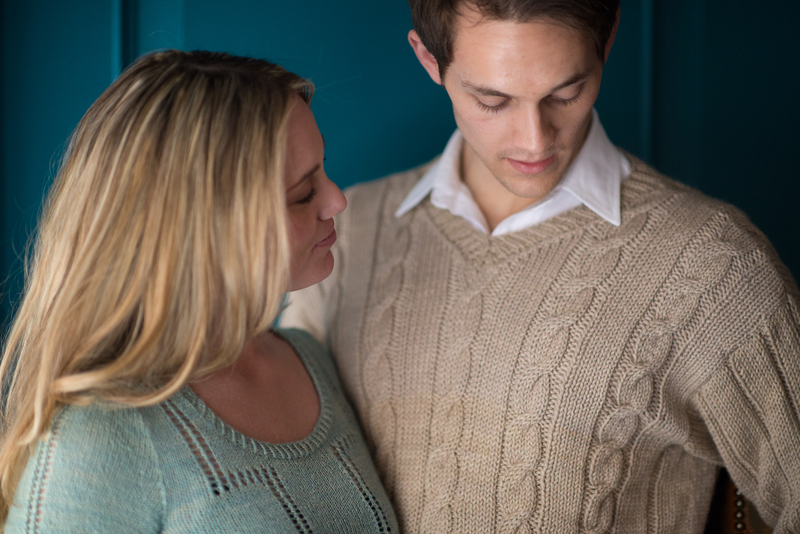 The patterns for both of these sweaters will be published in Silver Screen Knits, Volume Two by Kathleen Lawton-Trask, which will be released on May 15th. For more information and to receive a limited time discount code for the book, please visit Kathleen’s website: knitlikeyoumeanit and sign up for the newsletter (wherein the code will appear).